Veritas is the motto of the Dominican Sisters of Peace who sponsor St. Agnes Academy-St. Dominic School. 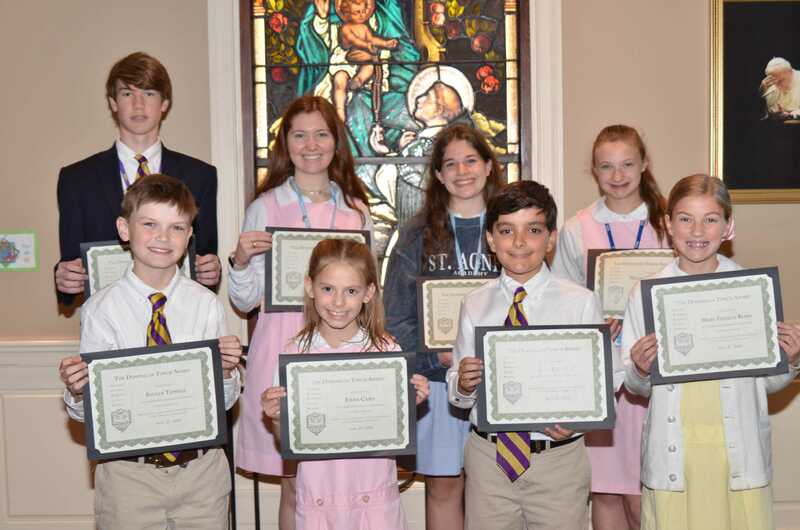 Founded on Catholic principles and enriched by Dominican Spirituality, the school educates young people to pursue Veritas (truth) through study and prayer and to build Veritas in our world through community and service. We encourage our students to spread this Veritas by becoming spiritually and ethically grounded, academically prepared, ecologically conscious, and critically aware of their responsibility to build a more truthful and peaceful world. As each new school year begins, we pause as a school community to reaffirm our school culture of truth and integrity, and we welcome those new to this commitment. 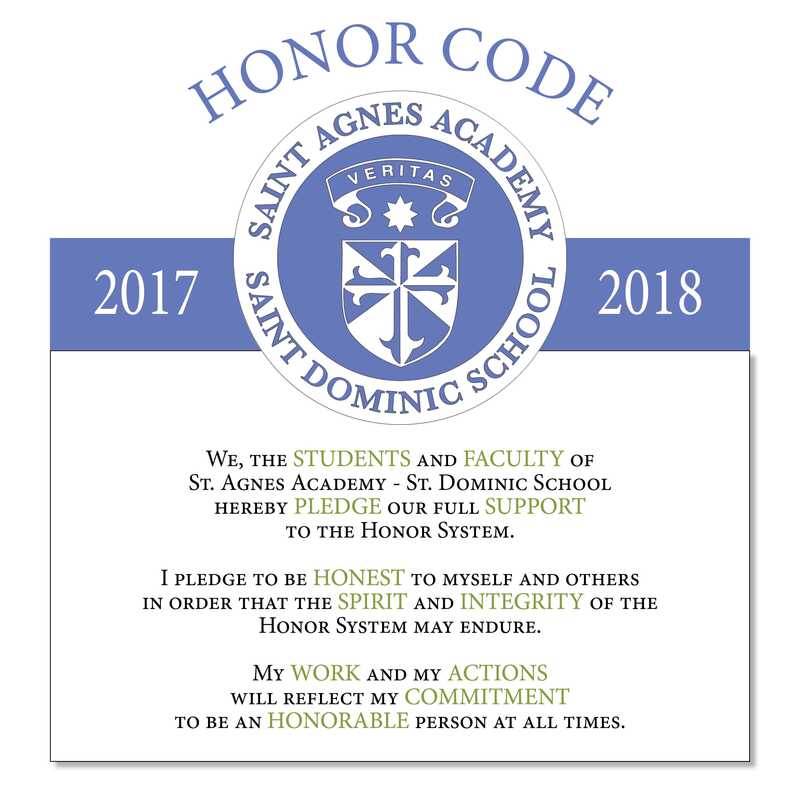 During Veritas Month students in grades 1-12 participate in activities focusing on the importance of the school’s Honor Code, and all students, faculty, and deans, sign a copy of the school’s Honor Code. 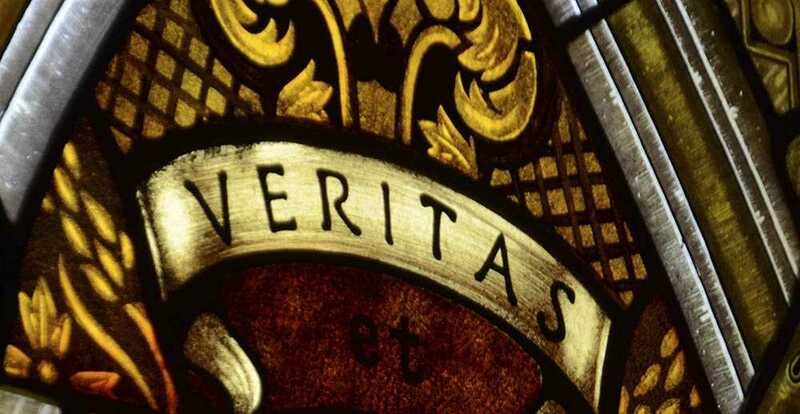 Veritas Month includes weekly Veritas trivia questions, a poster/essay contest on “ What Veritas Means to Me,” and the signing of the Veritas Pledge. The members of the Honor Council coordinate the Upper School activities. Activities continue throughout the year to reinforce the importance of personal and academic integrity and to build a stronger community. The signed documents hang in the hallways of the Upper School, Junior High, SAA Lower School, and St. Dominic School as a visible reminder of our commitment to be persons of honor who respect the dignity of all. The St. Agnes third grade girls were joined by their dads for a service project benefitting the Humane Society of Memphis and Shelby County.